The blogger otherwise known as the Scientist Gone Wordy and I return for another go at this duo post series for ours. This time wandering back to the science-fiction genre, which dawned it all anyway. Setting our telescopes on the one person who made the word ‘Cosmos’ join the vernacular of the 80s. As Wikipedia described him, the novelist also happened to be an “American astronomer, astrophysicist, cosmologist, author, science popularizer and science communicator in astronomy and natural sciences“. His name was Carl Sagan. Known to many for his PBS miniseries, sourced by his wildly popular science book, it drew the curiosity of viewers in the millions worldwide. In fact, Cosmos: A Personal Voyage was the program that in turn transformed another cardinal number into the pop culture catchphrase (“billions and billions“) of the time. His science-fiction book, Contact, involved, natch, the contact between our Earth-bound human civilization and extraterrestrial life, became a 1985 national bestseller. A brief synopsis of the film: Dr. Eleanor Arroway has a career job perfectly suited for her talents. “Ellie”, a radio astronomer, has long been interested in life of the most faraway lands imaginable — those on extraterrestrial worlds. Fostered since childhood toward such things, she’s a passionate, if frustrated, advocate for science and the wisdom for this type of search. So, when a distant radio transmission arrives on Earth, from the vicinity of the star Vega, Ellie and her devoted colleagues find vindication in separating the signal from the noise, and the skepticism. But, a coded message lay within the broadcast, an invitation. An extraordinary one, which will take a leap of faith, as it were, to accept. I’ve probably seen Robert Zemeckis‘ film Contact at least a half-dozen times now since its initial release in 1997. Always picking up something new with each subsequent screening. What was found this instance, you ask? It was catching the reference of which Space Shuttle was in orbit at the time Vega’s signal was first intercepted. It was the Endeavour. That would be the same one that cruised our city’s streets last year on the way to its new home. It’s all in keeping with a film that still fascinates me. 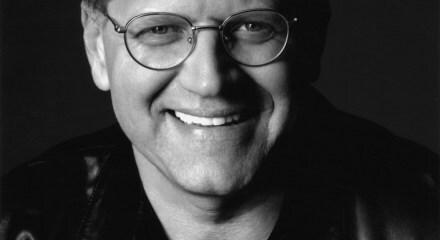 I’ll admit, I’ve been overly critical of Robert Zemeckis ever since the Y2K rollover. Perhaps it was his over reliance on computer effects in some of these productions. Maybe it was the questionable projects that drove it. Or, trying out a type of animation that marked some of his 21st century films and made me think I was watching dead people walk about, way before everyone and their mother put out a zombie film. I’m being too harsh, I know it. Criminy, we all know you can never have too much of Tom Hanks. Who am I trying to convince? Compare his recent films to 1997’s Contact and something becomes apparent. A few of us think the latter stuff pales. What came next for Zemeckis after this movie? What Lies Beneath in 2000. I rest my case. The adaptation of Carl Sagan’s first fictional novel was one of the rare cases where the film gave the source material a really good cinematic turn. Carl, ever the teacher, layered his book with so much fact, along with an absorbing idea of how actual contact with extraterrestrial life might happen, to be truly intriguing. Sufficiently, I suppose, to make his conjecture a must-read among science enthusiasts and laypeople, which I finally did before this most recent revisit. Zemeckis and crew may have done it one better by distilling the book’s essence down to a two and half hour movie experience. It’s certainly a journey film, that’s for sure. One worth taking, you ask? For Sagan’s initial idea of it all, I’d say yes, but YMMV. It gave a surprisingly even-handed debate on religion and science, faith vs. reason in the bargain. I’d commend writers James V. Hart and Michael Goldenberg for their translation to the screen. Yes, there are special effects galore employed in the film (Zemeckis’ intro for the film surely a worthy effort), but these don’t distract, for the most part. Ultimately lending themselves to telling a good story than being something so fecking cool to look at (reading Irish crime of late has affected my speech, I fear). Looking back on both the novel and film, I can spot the significant changes, cuts, and compromises made in this adaptation. Not a surprise really, but I was more taken with the director’s and writers’ approach with the source material this time around. Certainly, when it used the political terrain of the time to condense the tale around to frame it within Bill Clinton’s administration. Locking the film into a point in time that, back then, could have been seen as a detriment as soon as the Presidential Election year of 2000 clicked into view. That said, the film, like the source, offered a wonderful zeal when it came to the science on display to bolster its speculative fiction. The film surely attempted to stay as grounded in the real world as the novel — Arecibo Observatory, Puerto Rico and New Mexico’s Very Large Array in Socorro put to great effect. But especially so when it came to the behavior of the characters, both good and bad. With a cast as well endowed as this — Matthew McConaughey, James Woods, Tom Skerritt, William Fichtner, John Hurt, Angela Bassett, and David Morse — how could it not? Of course, Contact lives or dies for the movie viewer with its star Jodie Foster. If you don’t buy her as a driven, intelligent, and passionate scientist, then it’s not going to work for those watching…terrestrial or extraterrestrial. I’d say she pulled it off. Although, the parallels with her quintessential role from eight years earlier, Silence of the Lambs, seemed a tad heavy-handed in this production. An aspect filmmakers certainly ‘tweaked’ from that of the material. It only got better. Give her a Jame Gumb to overcome — Tom Skerritt taking full advantage of his covetous characterization of prickly (or should we just drop the ‘ly’?) David Drumlin and James Woods’ scheming Michael Kitz as this version’s Paul Krendler nemesis and we’re almost set. Finally, have William Fichtner pose as her steady confidant Ardelia Mapp — believe me, it works here — and you could easily map this all out so anyone mistakenly calling our heroine Clarice wouldn’t raise an eyebrow. I feel that harshness creeping back in. It shouldn’t as I have a distinct fondness for the creative Zemeckis intervention in this Sagan story. It really did play more spectacularly across his big screen instead as described on Carl’s page, even if it was in condensed form. The shift of Palmer Joss as Ellie’s romantic interest even offered a better science vs. religion context and contrast care of charismatic early work by Matthew McConaughey, too. As a whole the film remains an engaging enterprise care of the craft employed by a director (on a roll before the wheels came off) and a great cast that delivered on an unexpected tale, even all these years later. Perhaps, Contact was not what genre fans would describe as typical science-fiction fare. That would be a good thing. The quality movie fans have come to expect from Hollywood of late not close to tipping anybody’s ‘thinking’ meter, particularly for adolescent males. Little wonder Sagan deployed a smart woman as his protagonist to lift the story’s caliber. Nice review. Contact is an extraordinary film, it reminded me of Close Encounters of the Third Kind. Great comparison, ckckred. Both certainly provide quite a journey for both of their protagonists. Thanks for the read and comment :-). Excellent review! This may be my fave Jodie Foster performance. I found very believable as a driven scientist and her verbal sparring with Matthew McConnaughy was well done. I’m glad you mentioned William Fichtner – he’s cast wonderfully against type in CONTACT. Usually, he plays heavies in films and so it was great to see him play such a different role. I like this film much for the same reasons I love CLOSE ENCOUNTERS OF THE THIRD KIND… that it offers up benign aliens instead of the usual aggressive evil ones that want to wipe us out. It is also a special film in that it’s one my dad and I bonded over. He used to be a math/computer teacher and would always grumble at science fiction movies that get the math/science wrong and always singled out CONTACT as a film that got it right, esp. in the area of prime numbers. I think you and ckckred brought up a fantastic film comparison with CEOFTK. Certainly a different view of aliens of late and provided a meaningful touch. That’s also a great share of the memory with your dad, J.D. Contact offered a celebration of science and mathematics. Many thanks for the read, the share, and comment, my friend. Excellent write-up. With this and the previous post about the opening, I now really want to visit this film again. I always really liked it but I think I might just enjoy it even more now. Oh, thank you very kindly. I appreciate it :-). Lovely review, as always! Interesting highlight on Ellie’s character type… I wonder if that was the “Hollywood” aspect of the film… not trusting this female lead to hold the movie together so making her more like a previous successful venture. She and Clarice certainly have things in common but if you take Ellie straight from the book she’s not such a clone. I think this is a fantastic adaptation. The source material is huge in scope and getting that down to a good movie that can be watched repeatedly is so impressive to me. I have some quibbles but they are so minor that it’s easy for me to forget them while watching. I think Jodie Foster in the part is perfection. I wish there were many more such roles for her in film that I could go back to. I could have done without Joss as a love interest and I realize it would have been difficult but I would have preferred the travel companions like in the book. I’m not a huge fan of the ending in either (just too heavy handed with the whole science/religion thing) but I found it better with 5 folks taking the trip rather than one. It was great to go back to this title! Yeah, the writers, or someone, felt a need to bring some familiar aspects to Jodie’s character in this production. I didn’t mind it, but yeah Ellie’s character from the book was nothing to sneeze at. Foster still brought a good portion of that in her performance. She’s really great in this. Unfortunately, under Hollywood’s longtime thinking, she’s hit an age ‘they’ don’t think is what younger audiences want to see. They’re wrong of course. I can’t think of her in a movie where’s she’s not delivering on a character. Producers’ narrow-mindedness with actresses like Foster is missing the boat. The five-person ‘trip’ was a very interesting aspect of the novel, but I can see why, given the distillation into a two and a half hour movie, filmmakers brought it all down to one character. Jodie as Ellie being at the center was just fine with me ;-). Great to get back to a sci-fi title, indeed. Thanks, Rachel. I’ve never seen Contact though the concept very much appeals to me and I like Jodie Foster. I need to get this one on my Netflix queue. Hey, Arlee :-). I think you’d enjoy this, my friend. Thanks so much. I’ve been trying to sing the praises of Contact for many years. Zemeckis, like the film itself, is far too underrated in my opinion (although I totally agree that he’s let himself down a bit since What Lies Beneath – perhaps a little ego crept in there). 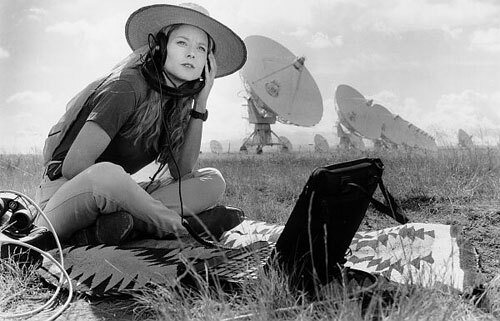 Contact’s a wonderful film and I think that comes chiefly from Zemeckis’s portrayal of Jodie Foster’s character, and her determination to find “something” more to our world and our universe. It is a terrific performance from Foster and while the ambiguity (or lack of definitive answers) of the ending probably turns some people off the film, I think it works perfectly in that we are left with the same level of wonder that drove Foster’s character to find the answers she sought. Good to find another fan of this Robert Zemeckis film, Dan. I’m still a fan of this director, even if he’s disappointed me of late. My family and I will complete another run with Marty in the ‘Back to the Future’ trilogy this weekend. Never tire of those movies and Contact. Foster was magnificent in this, wasn’t she? I, too, enjoy the ending — more now than ever and for the same reasons you’ve stated. Thanks for the read and comment, my friend. Is that Back to the Future on the big screen? I would love to see it at the cinema. I do have vague memories of seeing Back To The Future Part 2 in the theater – one of the first films I saw at the cinema – but I’d love to see the first one. This time it was at home, Dan. I did take my daughter to the 25th anniversary theatrical screening a couple of years back, though. Great review. I saw the movie before reading Sagan’s book and agree that it’s interesting to check out the differences. I think the movie was wise to focus on Ellie and not have a group venture into space. They streamlined the story and really put us with her for the journey. I’ve watched Contact a bunch of times and still enjoy it every time. I forget about the great visual moments (the opening, the star show after Ellie meets her father, the wormhole journey, etc. ), and they still work today. Thank you very kindly, Dan. Yes, the focus on Ellie was key here. And those SFX still bring a smile and a sense of wonder whenever I put this into the disc player. Great to hear from another fan of this film :-). I was taught Relativity by a professor that was a student in Kip Thorne’s class back in the 90s (yeap, the Nobel prize winner last year and the scientist behind Interstellar) when he mentioned that Carl Sagan just called him and asked him to review the draft of ..Contact to make sure it was scientifically correct. One of the best sci-fi films of all time.